Donegal Racing’s Keen Ice, who ended Triple Crown winner American Pharoah’s eight-race win streak in this summer’s Travers Stakes (GI), breezed five furlongs in 1:01.20 on Saturday morning at Churchill Downs and remains possible to start in Friday’s 142nd running of the $500,000 Clark Handicap Presented by Norton Healthcare (GI) at Churchill Downs. Keen Ice left the half-mile pole under regular exercise rider Tammy Fox and recorded splits of :12, :23.60 and :48.60. 3-year-old son of Curlin galloped out six furlongs in 1:14.80. Saturday morning’s breeze was the second for Keen Ice since finishing fourth, 12 ½ lengths behind American Pharoah, in the $5 million Breeders’ Cup Classic (GI) on Oct. 31. Last Sunday, he clocked a half mile in :48.20. Possible starters for the 1 1/8-mile Clark for 3-year-olds and up include Effinex (122 pounds), Race Day (122), Dortmund (121), Keen Ice (121), Protonico (117), Frivolous (115), Mr. Z (114), Looks to Spare (113) and Shotgun Kowboy (113). Entries for the Clark will be drawn Tuesday. EFFINEX SEEKS GRADE I WIN IN CLARK – Tri-Bone Stables’ Effinex, the runner-up to American Pharoah in last month’s Breeders’ Cup Classic (GI) at Keeneland, breezed five furlongs in 1:00.40 over the Belmont Park training track Saturday morning and is “almost certain” to make his next start in Friday’s $500,000 Clark Handicap Presented by Norton Healthcare (GI), according to trainer Jimmy Jerkens. Some of the horses that Effinex has beat this year include 2014 Belmont Stakes (GI) winner Tonalist, whom he defeated by a head in the Suburban Handicap (GII) at Belmont Park on July 4, as well as multiple graded stakes winners Red Rifle and stable mate Wicked Strong in the Excelsior (GIII) at Aqueduct on April 25. In his last effort, he sat right off the pace set by American Pharoah in the Breeders’ Cup Classic, where he held on for second at odds of 33-1. Trainer Todd Pletcher’s contenders Race Day and Protonico, a respective first and fifth in the Fayette (GII) at Keeneland last time out, are scheduled to arrive at Churchill Downs on Monday, according to Churchill Downs’ stall superintendent Steve Hargrave. 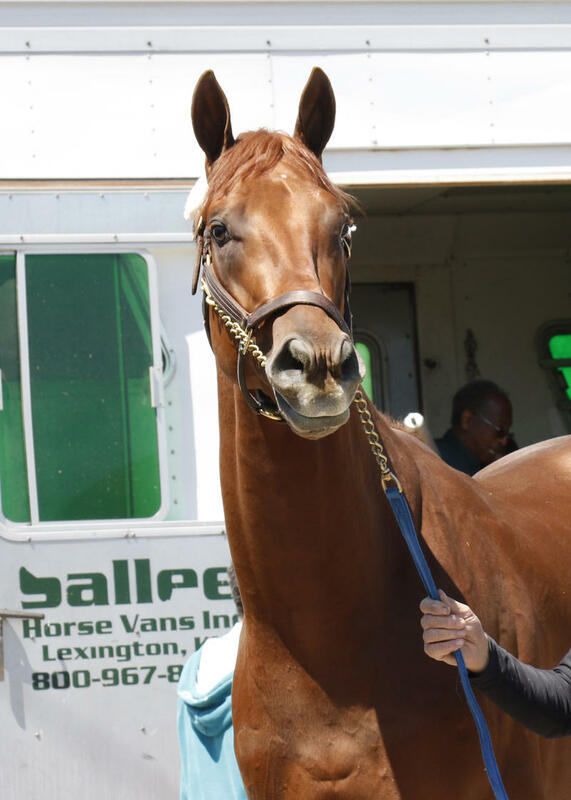 Trainer Bob Baffert’s Dortmund is scheduled to arrive from California on Tuesday. COX TO POINT CALL PAT TO FALLS CITY ’CAP; SPELLING AGAIN TO AQUEDUCT’S GO FOR WAND – Miller Racing LLC’s Call Pat is scheduled to make her next start in the $200,000 Falls City Handicap Presented by TwinSpires.com (GII) on Thanksgiving Day after breezing five furlongs in 1:01.00 for trainer Brad Cox on Friday. Meanwhile, stable mate Spelling Again, the winner of the Nov. 7 Chilukki (GII), will be sent to New York for Friday’s $300,000 Go for Wand (GIII) at Aqueduct after breezing a half-mile in :48 on Friday. Possible fillies and mares for the 1 1/8-mile Falls City Handicap, according to stakes coordinator Dan Bork, include Birdatthewire (118 pounds), Theogony (117), Call Pat (116), Chide (116), Ahh Chocolate (114), Montana Native (114), Salama (113) and No Fault of Mine (112). Birdatthewire breezed five furlongs in 1:00.60 on Saturday. Theogony went a half-mile in :49 on Friday. “It was just an easy maintenance half and she’s definitely running in the Falls City after [Friday]’s work,” assistant trainer Norman Casse said. AIROFORCE WILL WEAR BLINKERS FOR KENTUCKY JOCKEY CLUB – John C. Oxley’s Airoforce put in his final work in preparation for next Saturday’s $200,000 Kentucky Jockey Club Presented by TwinSpires.com (GII) with a half-mile breeze in :48.60 on Friday morning under Julien Leparoux. Airoforce, the Bourbon (GIII) winner who was a neck back of Hit It a Bomb in the Breeders’ Cup Juvenile Turf, sported blinkers for the breeze in company with stable mate Damascus Road. He began two lengths back of his workmate and finished even after recording splits of :24.60 and :48.60. Airoforce galloped out five furlongs in 1:01 and three-quarters of a mile in 1:14. The Kentucky Jockey Club will mark the first start on dirt for Airoforce, who has a record of 3-2-1-0—$402,000 on grass. Possible 2-year-olds 1 1/16-mile Kentucky Jockey Club, according to stakes coordinator Dan Bork, include Airoforce, Annual Report, Force It, Gun Runner, Iron Dome, Matt King Coal, Mo Tom, Rated R Superstar, Tom’s Ready and Uncle Jerry. 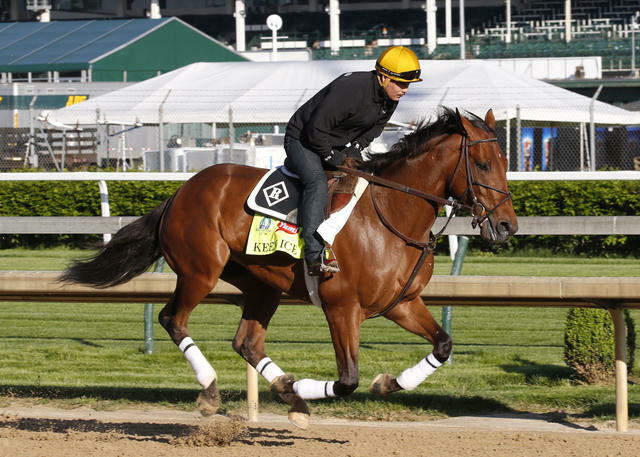 Mo Tom breezed a half-mile in :48 on Saturday morning at Churchill Downs. The Street Sense winner recorded splits of :23.60 and :35.60 before galloping out five furlongs in 1:01 and six furlongs in 1:14.60. Iroquois (GIII) runner-up and Breeders’ Futurity (GI) third Rated R Superstar breezed five furlongs in 1:00.80 on Saturday for trainer Kenny McPeek. SAEZ OUT FOUR WEEKS WITH BROKEN COLLARBONE – Jockey Sebastian Saez will be sidelined at least four weeks with a broken left collarbone following a spill aboard Magnum Force in Thursday’s fifth race, according to agent Julio Espinoza. Sophie Doyle, also involved in the mishap, missed her mounts because of body soreness on Friday but returned to the saddle on Saturday. CLOSING WEEKEND STAKES LINEUP – Closing weekend stakes: the $200,000 Falls City Handicap Presented by TwinSpires.com (GII) for fillies and mares at 1 1/8 miles and $100,000 River City Handicap (GIII) for 3-year-olds and up at 1 1/8 miles on turf on Thanksgiving Day, Thursday, Nov. 26; the $500,000 Clark Handicap Presented by Norton Healthcare (GI) for 3-year-olds and up at 1 1/8 miles, $100,000 Commonwealth Turf (GIII) for 3-year-olds at 1 1/16 miles on turf and $80,000 Dream Supreme Overnight Stakes for fillies and mares at six furlongs on the Nov. 27 Clark undercard; and the $200,000 Kentucky Jockey Club Presented by TwinSpires.com (GII) for 2-year-olds at 1 1/16 miles and $200,000 Golden Rod Presented by TwinSpires.com (GII) for 2-year-old fillies at 1 1/16 miles on the Saturday, Nov. 28 “Stars of Tomorrow II” program, which features racing exclusively for juveniles. DOWN THE STRETCH – Midwest Thoroughbred’s The Pizza Man returned to the work tab Friday after a fifth-place effort in the Breeders’ Cup Turf (GI) at Keeneland with a half-mile breeze in :48.20 for trainer Roger Bruggemann, who is pointing the Illinois-bred son of English Channel to Thursday’s $250,000 Hollywood Turf Cup (GII) at Del Mar, a race that he finished third in last year. 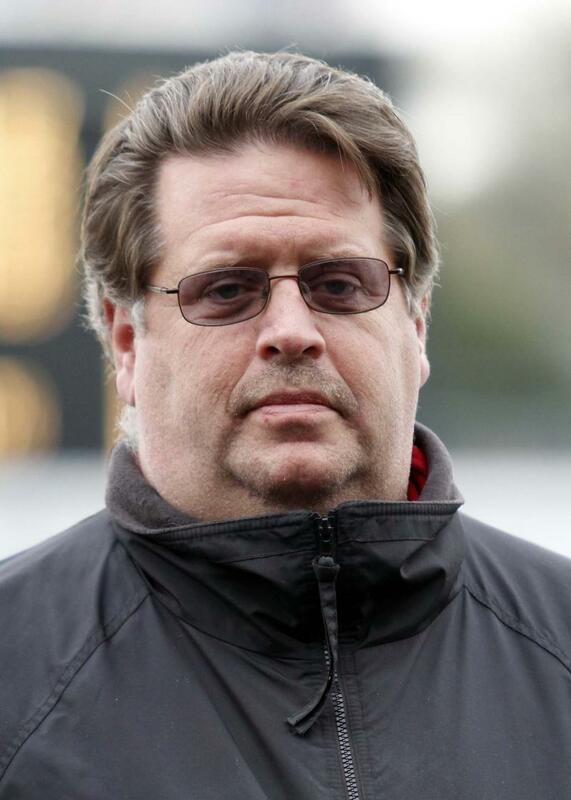 … Terry Hamilton’s Heart to Heart went five furlongs in 1:01.60 on Friday for trainer Brian Lynch in preparation for Thanksgiving Day’s $150,000 River City Handicap (GIII), which also could attract Cage Fighter, Dac, Gabriel’s Cat, Kalamos, Knights Nation, Messi (Ger) and Thatcher Street, according to Churchill Downs’ stakes coordinator Dan Bork…. Possible starters for Friday’s $100,000 Commonwealth Turf (GIII) include Almasty, Czar, Granny’s Kitten, Nucifera, Nun the Less, Quality Bird, Vigilante and Wayward Kitten. ….Carina Mia, Dothraki Queen, Dream Dance, Stageplay, Sugar Cone and Susies Yankee Girl are possible for next Saturday’s $200,000 Golden Rod (GII) for 2-year-old fillies at 1 1/16 miles. … Magdalena Racing’s Dothraki Queen breezed five furlongs Saturday in 1:01.20. … Gallant Stable’s Majestic Harbor went a half-mile in :48 and will likely start in next Saturday’s $250,000 Hawthorne Gold Cup (GII). … Jockey Brian Hernandez Jr. enjoyed four triumphs on Friday’s card scoring victories with Aloha Rose (Race 3, $7), Archway to Heaven (Race 6, $7.20), Bondurant (Race 9, $5), and I Believe I Can (Race 10, $9.20). To view this news release in a pdf file, please click here .